Work to widen Jefferson Avenue between 11th Street and 14th Street will begin on Monday, May 14th. Crews will begin working near La Rousse Salon & Spa. Lane Closures and delays can be expected until work is complete in early August. 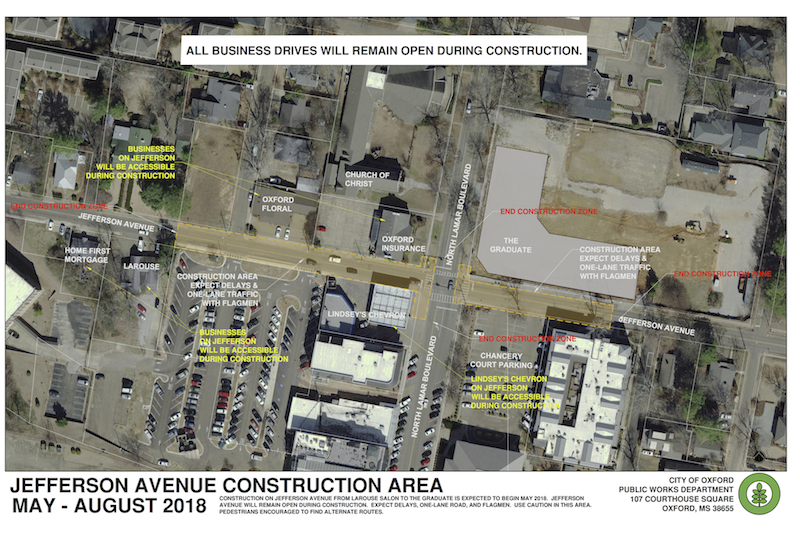 This project will widen a portion of Jefferson to three lanes, which will allow for dedicated left turn lanes from Jefferson onto North Lamar. The project is expected to be substantially complete by August 7, 2018. All businesses in the area will remain open and accessible to the public. Please see the map for the work limits. Updates will be provided as the work progresses. Please use extreme caution as you enter this construction area and thank you for your patience.